Databases are obsolete. What you need is to be notified in REAL TIME about the deals! Flipmost searches Amazon for 1M+ low priced Merchant Fulfilled offers that you can buy at the low price and resell them back via FBA for profits. No messy dashboards / confusing options to browse anymore. 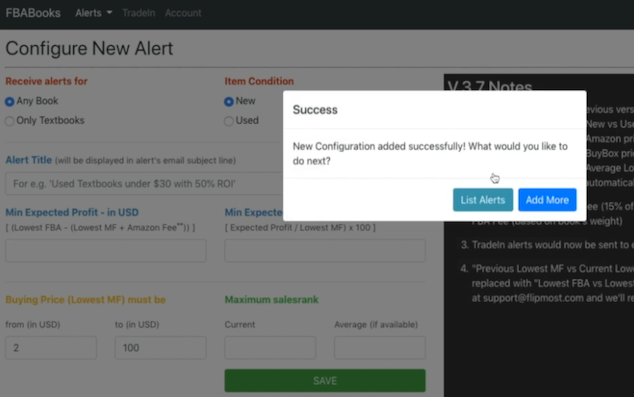 Just setup your one-time alert filters and our system will take it from there. Be the first in queue to discover any profitable flips. 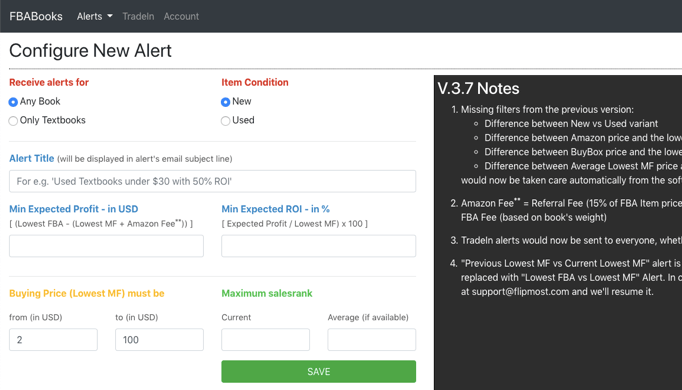 Just setup your filters and start receiving emails as soon as our system finds any potential flipable items. Just tell us the ROI & profit you're expecting and we'll take it from there. Updates Amazon data 13X in a day. That’s 10X than any other OA tool. Spend less and earn more. At $99/mo get deals worth $5000/mo in profit. Away from your computer? Just let us know and we'll make the changes. We source data from several sources and estimate product sales using AI. Not making enough money? Just let us know and get instant refund. Simple pricing. No hidden charges. 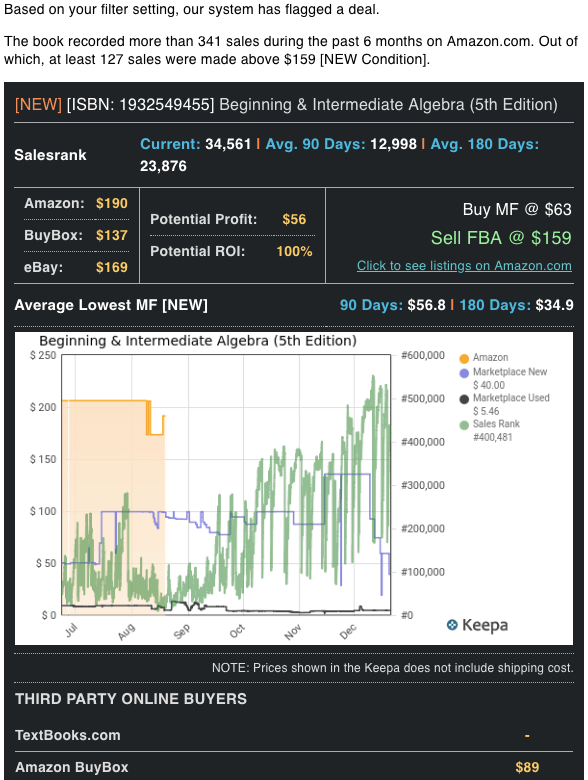 Flipmost is an Amazon to Amzon arbitrage tool for Books and TextBooks which is faster than any other OA tool available online. Copyright © All rights reserved. Flipmost Inc.